An up-to-the-minute comedy on the anxieties of modern living. A young woman tries to balance working at home with caring for her increasingly senile father-in-law. When her husband is seduced into the neighborhood watch group, she worries how far he will go to �protect� their new home. 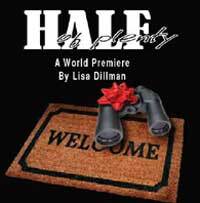 "...There is plenty of thematic heft and human compassion in Lisa Dillman's new script. But it's squandered both by self-destructive writerly excursions into the predictably stereotypical and by a premiere production that, given the talents of everyone involved, is disappointingly shoddy." "...Dillman methodically ups the ante at every turn, and the actors respond in kind. But it is Graeff -- an actress who has truly blossomed during the past year, and who possesses a rare ability to mix high comedy with heartbreaking naturalism -- who steals the show." "...Half of Plenty has humor and heart. And the play, in an ably executed world premiere at American Theater Company directed by company co-founder William Payne, makes for reasonably satisfying, if not especially revelatory, theater." "...Lisa Dillman's new play is about half-right. The part that works resembles Barbara Ehrenreich's classic report on middle-class insecurity, Fear of Falling, reimagined as domestic dramedy." "...The Tindalls creeping existential angst is the story that should be the heart of Half of Plenty but, alas, Dillman introduces the Zooks. The APNEA-upholding neighbors are a cartoon-deep mix of Stepford smiles and xenophobic fascism. Their appearance signals the end of a story we can believe in, and the onset of a dreary preposterousness so heavy-handed it smashes the truth that lies in the tale of Marty and Holly. Half of Plenty would be fuller and richer without them." "...Despite its examinations of restless fears and sleepless worries, �Half of Plenty� proves to be a story of strength and familial hope. This should be true with or without Kline�s amazing presence proving that, once again, American Theater Company has a winner on its hands." "...Plenty feels like another entry in the catalog of trickle-down from American Beauty, showing suburbia as a land of plastic and novocaine, unsure if it�s literal or satirical. The subplot about the Arab family across the street bears little comment since (not surprisingly) we never see them. But given what we hear happens to them, one wonders if their American story might be the authentic one." "...Half of Plenty unfolds with clever plot twists utilizing humor and biting satire that gives us a glimpse of our contemporary world. Theatre needs to use drama, humor and satire to get us to re-think our present biases and concerns. Half of Plenty sure does that with nicely naturalistic characters whose pains are our pains."